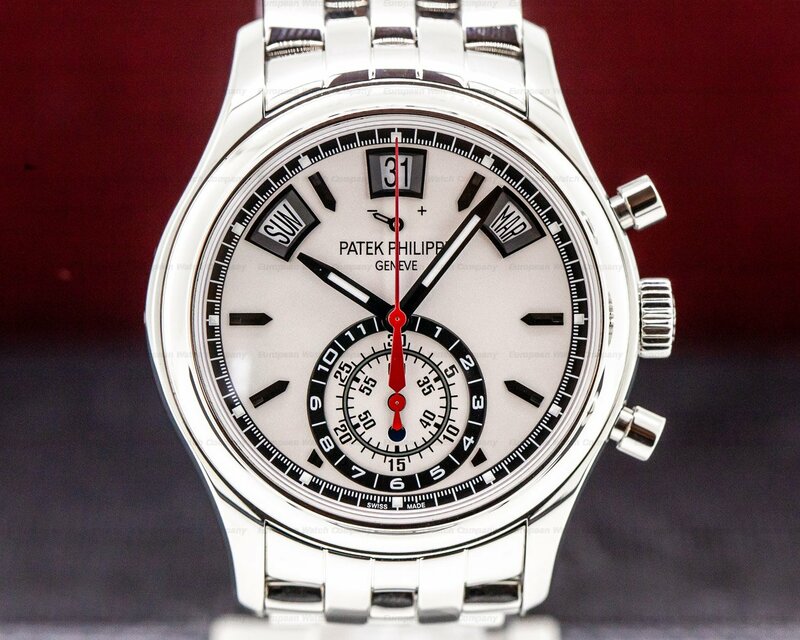 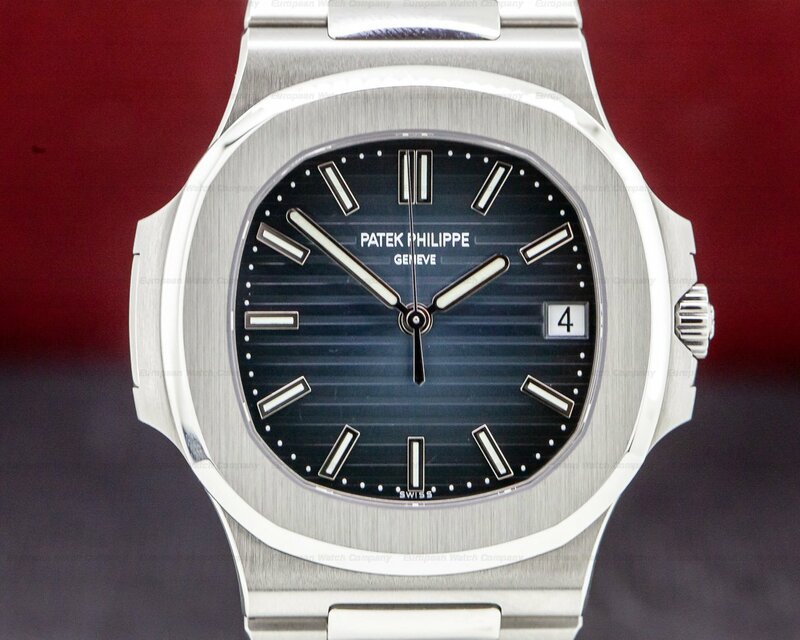 This is a stainless steel Patek Philippe Jumbo Nautilus 5711/1A-010. 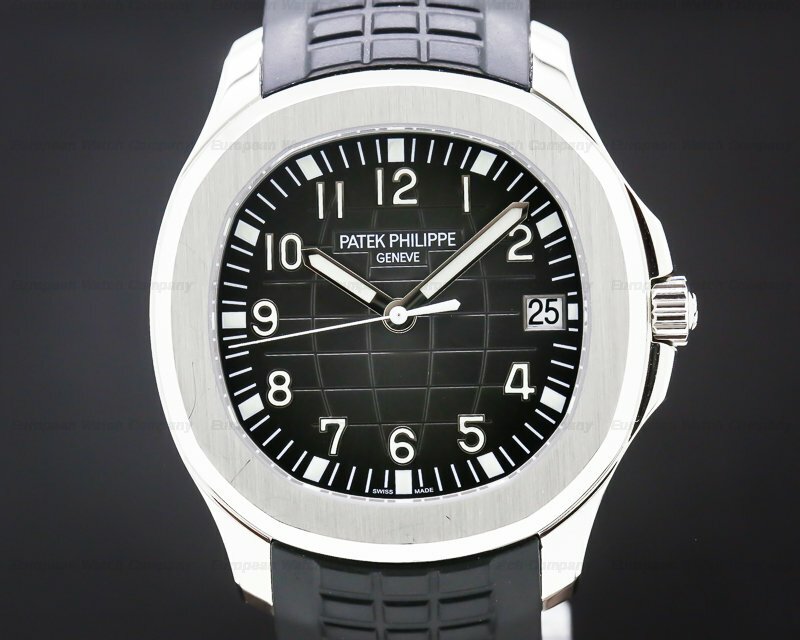 It has an integral stainless steel bracelet with a double deployant buckle, and a scratch resistant anti-reflective sapphire crystal. 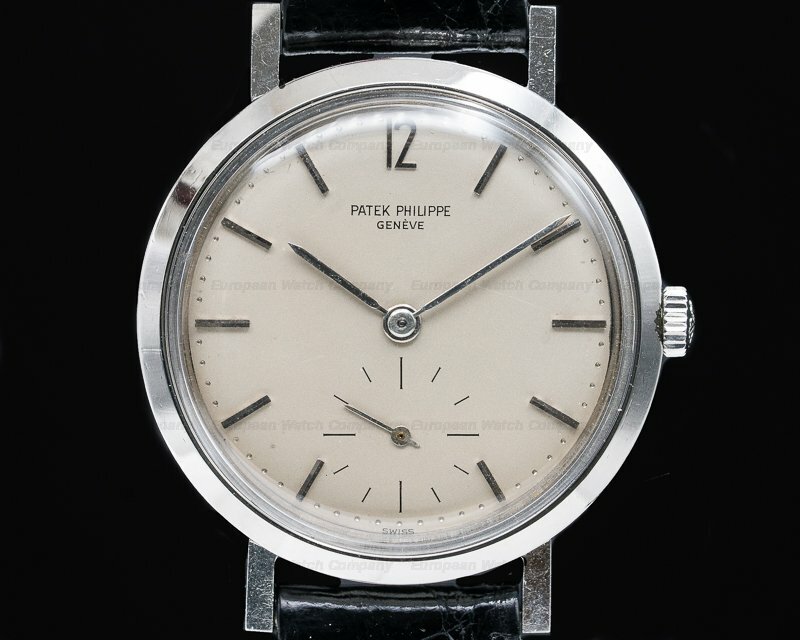 There is a screwed-down exhibition sapphire case back and a screwed-down protected winding crown. 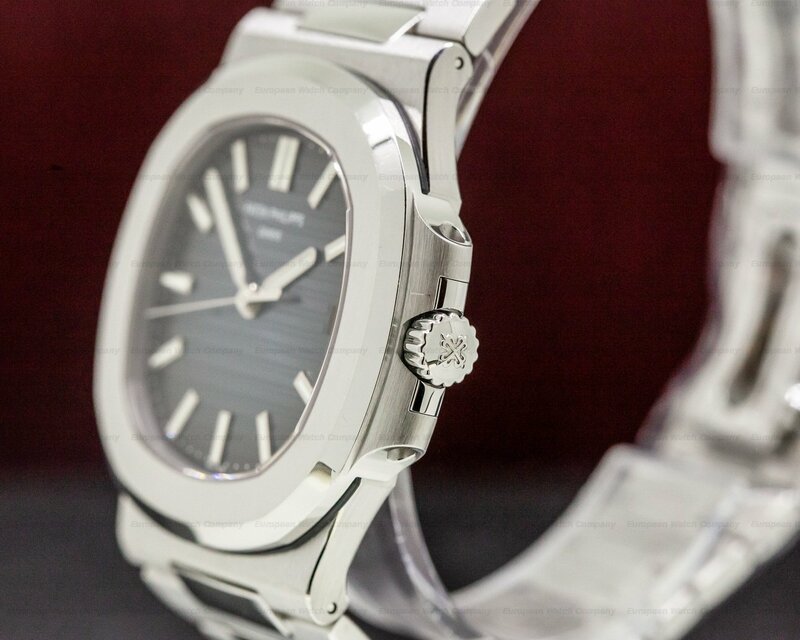 The 43mm by 44mm solid three-body case and flat bezel are brushed/polished. 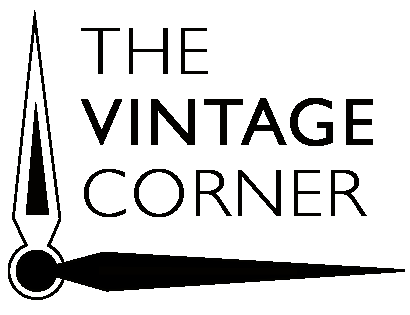 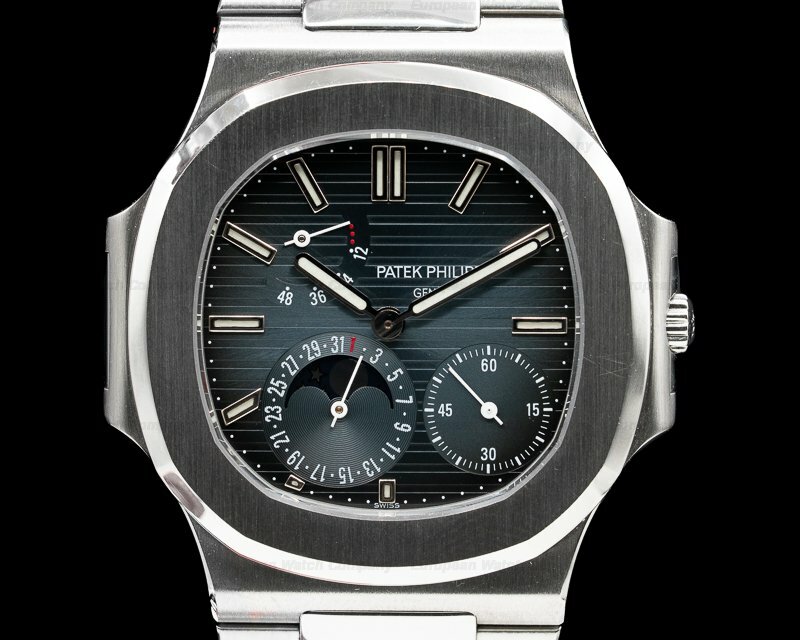 The dial is horizontally striped blue with applied gold faceted baton hour markers with luminescent inserts, and a center sweep second hand. 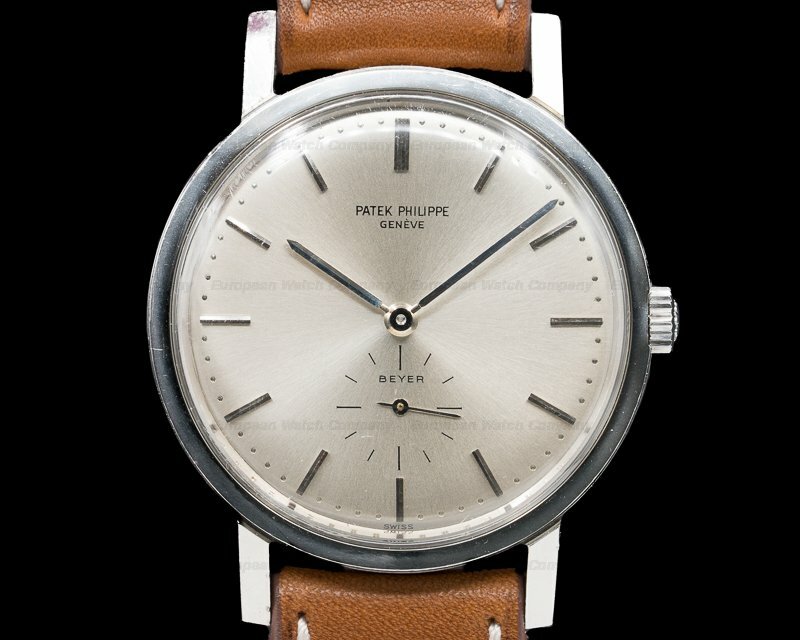 It has luminous white gold baton hands, and outer dot minute/second divisions. 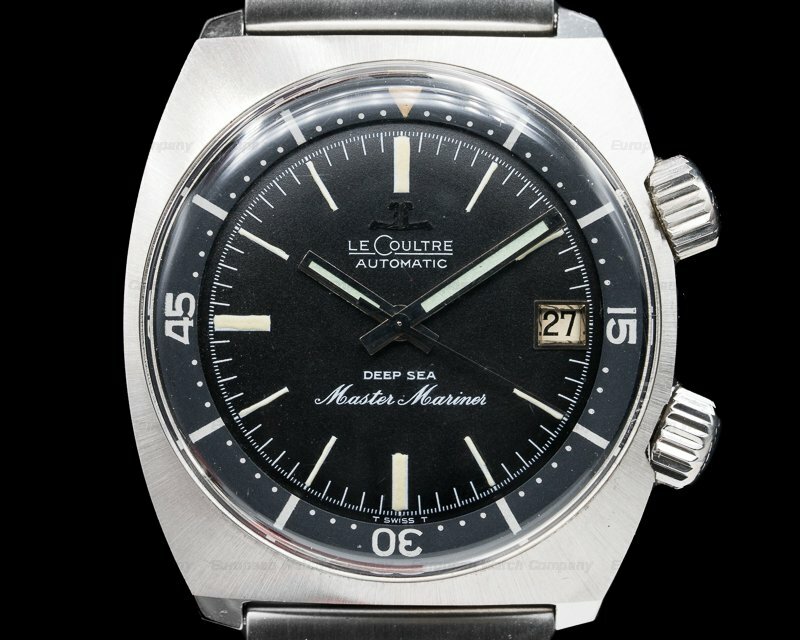 There is an aperture window for the date at the 3 o'clock position, it’s water resistant to 120m/360 feet, and there is a 45-hour power reserve. 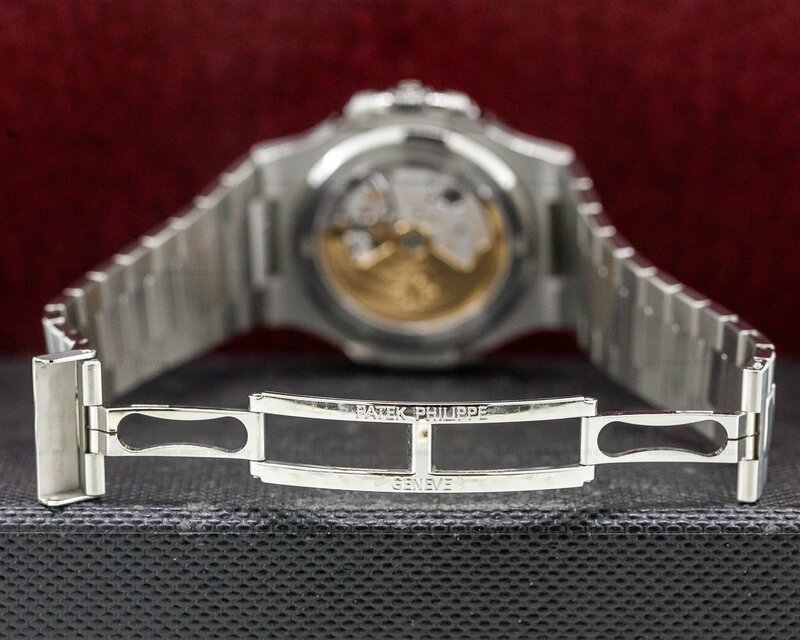 The 9mm thick case, dial, and movement are all signed. 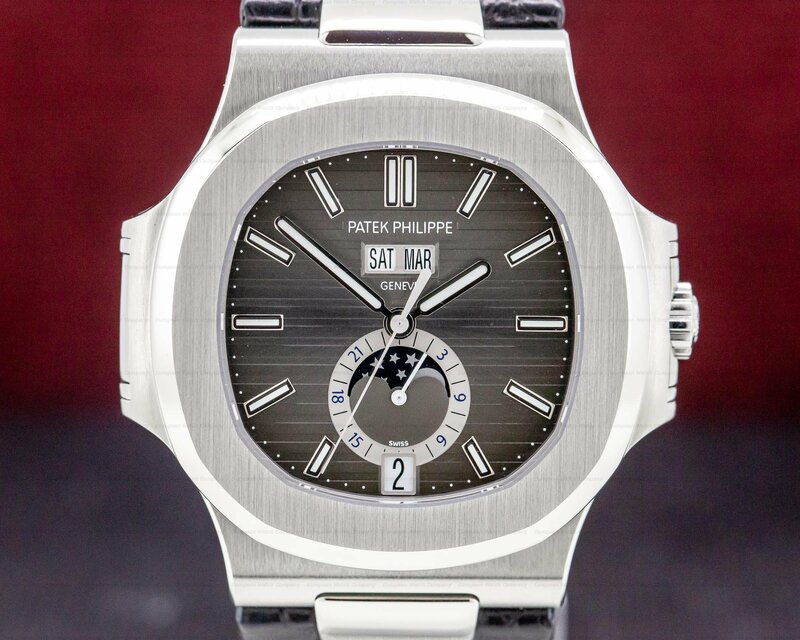 This Patek Philippe Jumbo Nautilus 5711/1A-010 has a mechanical automatic self-winding Patek Philippe caliber 324/390 movement that's rhodium-plated, with fausses cotes embellishment. 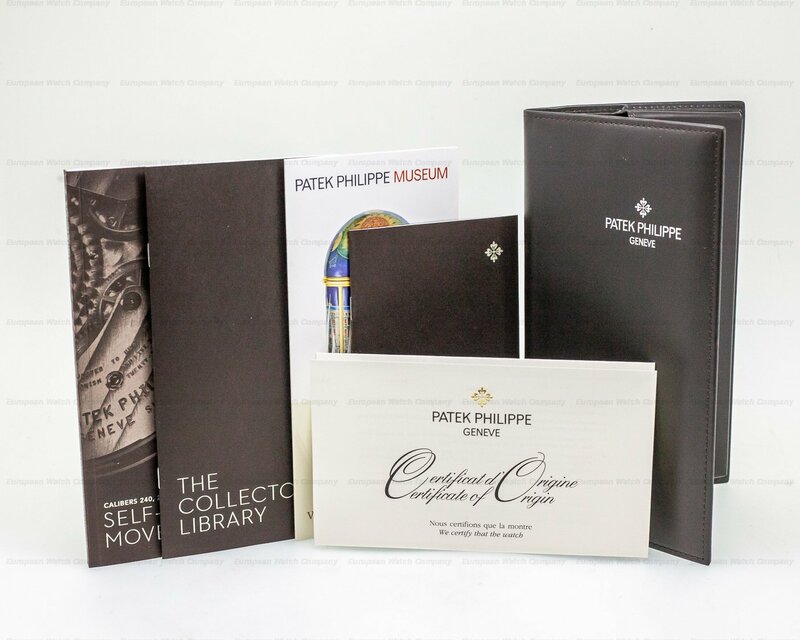 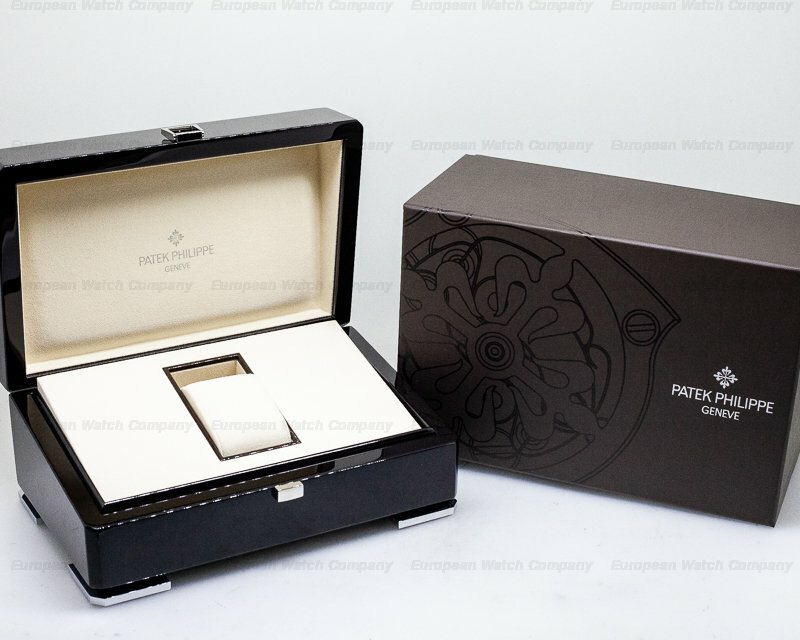 It's constructed with 29 jewels, 6 bridges, 213 components, a shock absorber mechanism, a straight-line lever escapement, and It's stamped with the Patek Philippe quality mark. 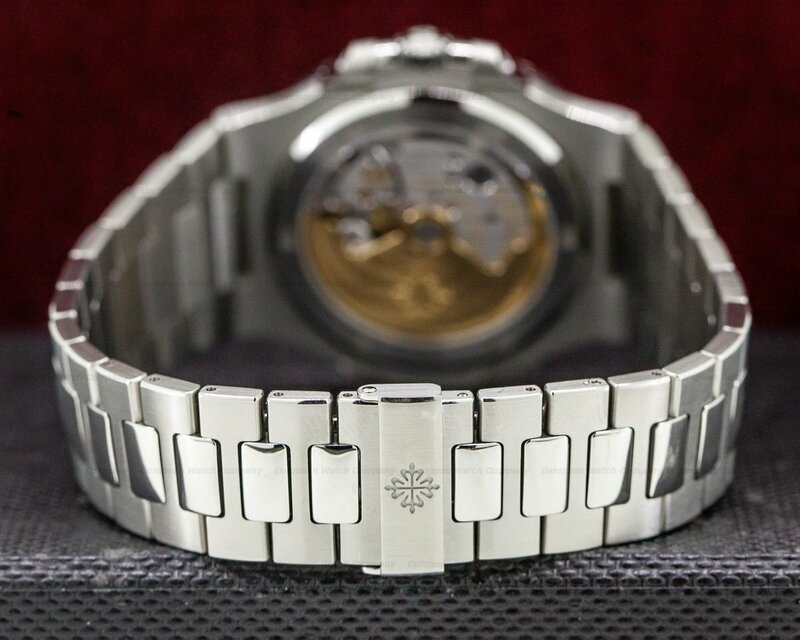 It includes a Gyromax monometallic balance that's adjusted to heat, cold, isochronism and 5 positions, and a self-compensating free-sprung flat balance spring. 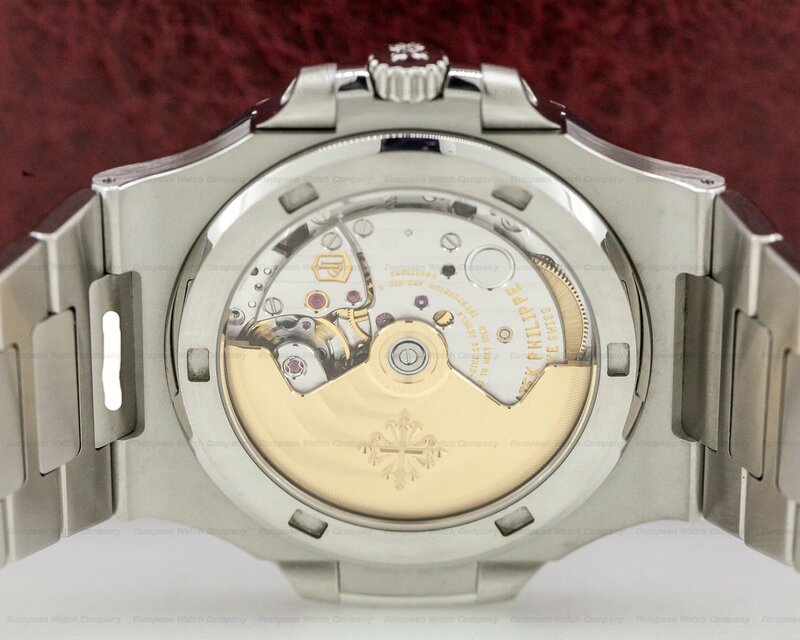 The Gyromax balance spins at a frequency of 28,800 vph (4 Hz), turning an extra-heavy, 21K gold central rotor. 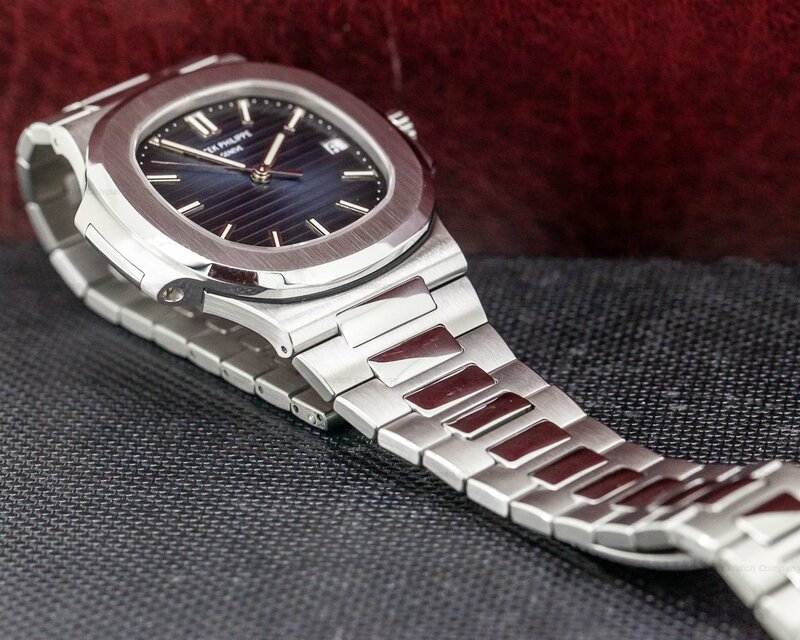 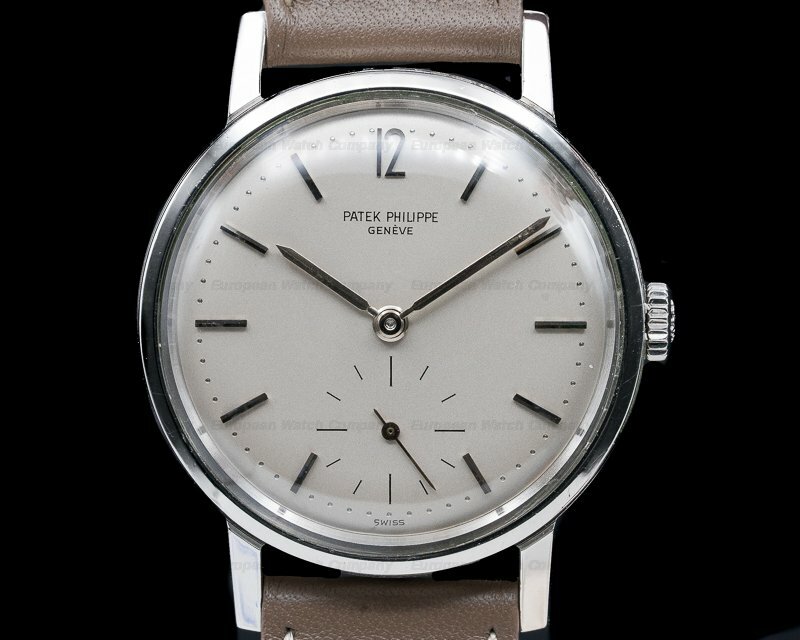 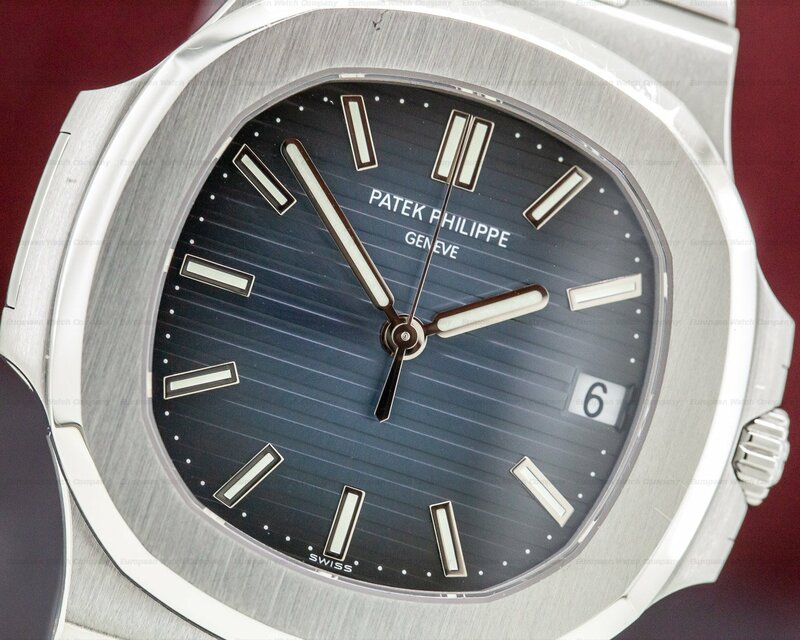 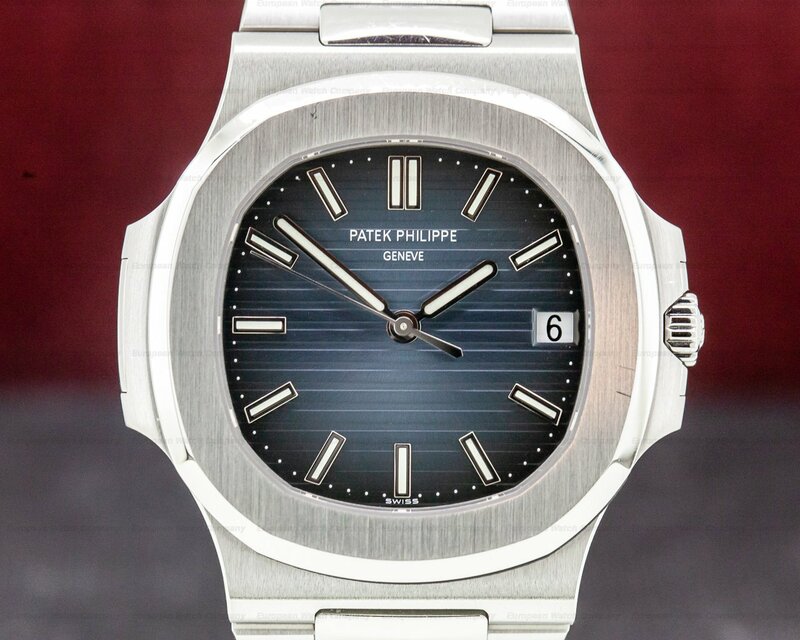 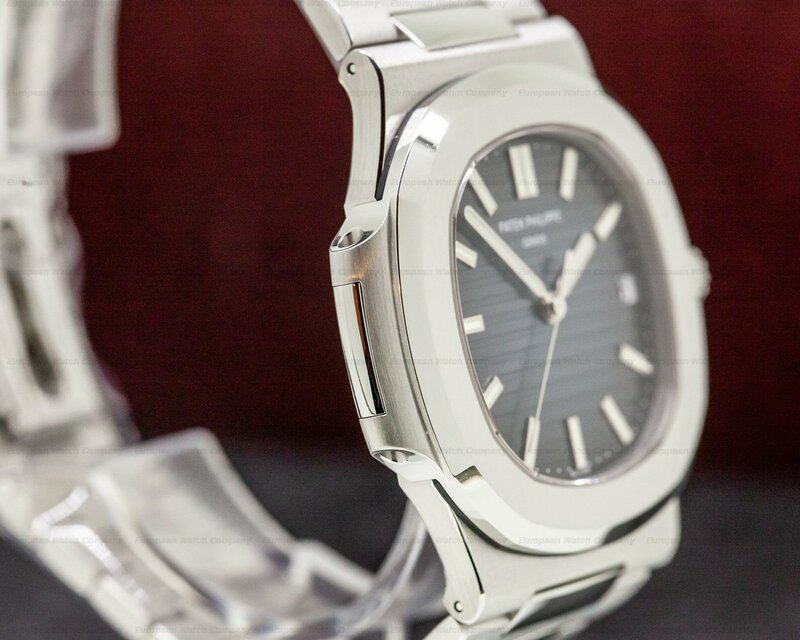 Patek Philippe originally debuted the Jumbo Nautilus in 1976 (Reference 3700). 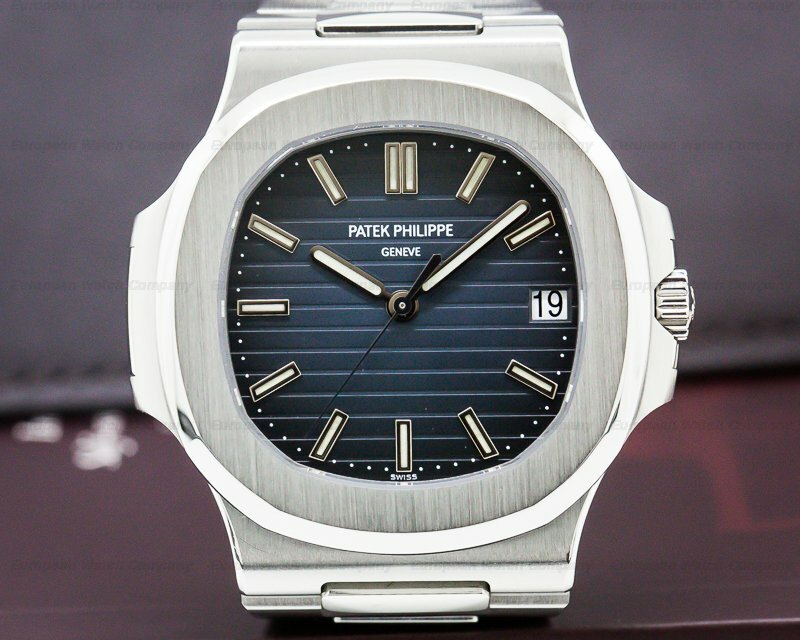 In 2007, on the 30th anniversary of the introduction of that watch, Patek brought out the Patek Philippe Jumbo Nautilus 5711/1A-010.